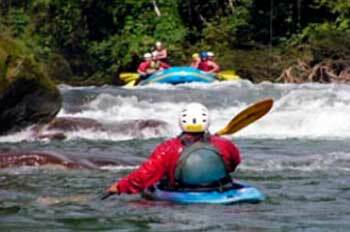 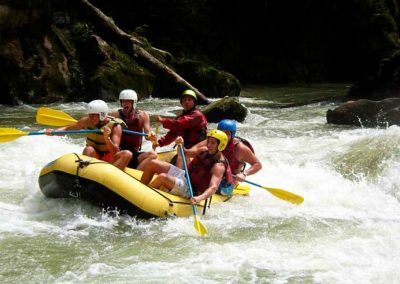 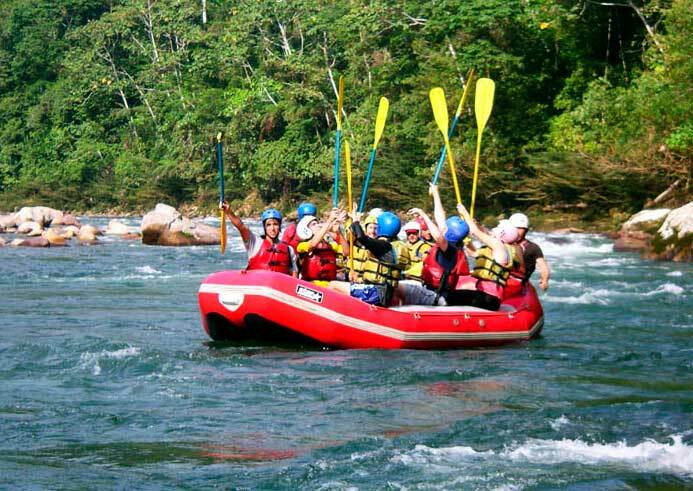 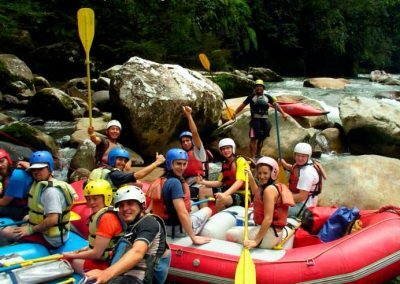 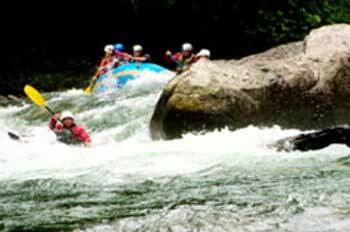 This is an action packed day trip full of exciting white water rafting and beautiful sightseeing. 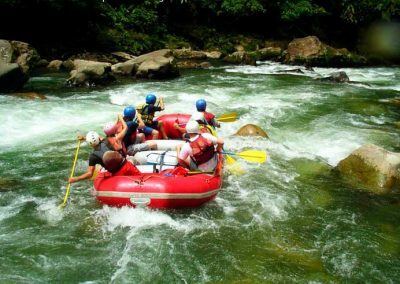 The Quijos River is formed by the flows of the Papallacta and Cosanga rivers which receive flows from the Antisana volcano and páramo valleys. The Quijos is a class IV-IV+ river that offers 11 miles of fun and plenty of non-stop white water action. 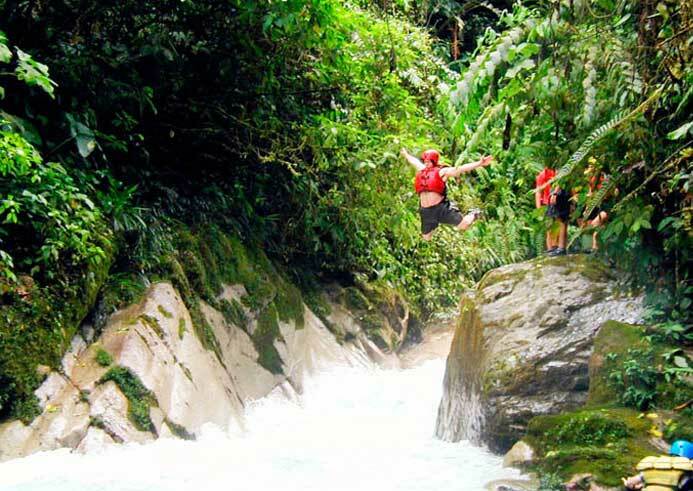 You will put in at 2,100m and get to experience the feeling of being in the Andes. As the trip proceeds, you will drop down into the breathtaking Ecuadorian cloud forest where you will be surrounded by a more tropical climate and immense bird life. 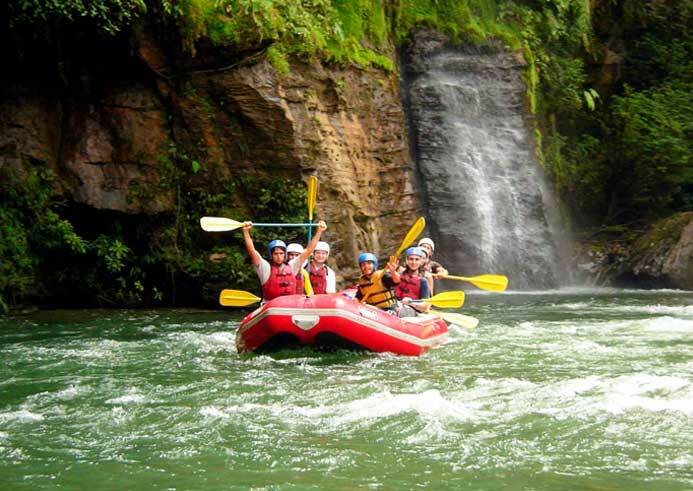 We depart from Quito early for a two-hour drive towards the Amazon, crossing the pass in the Andes at 4000 mt and then dropping down to Baeza. 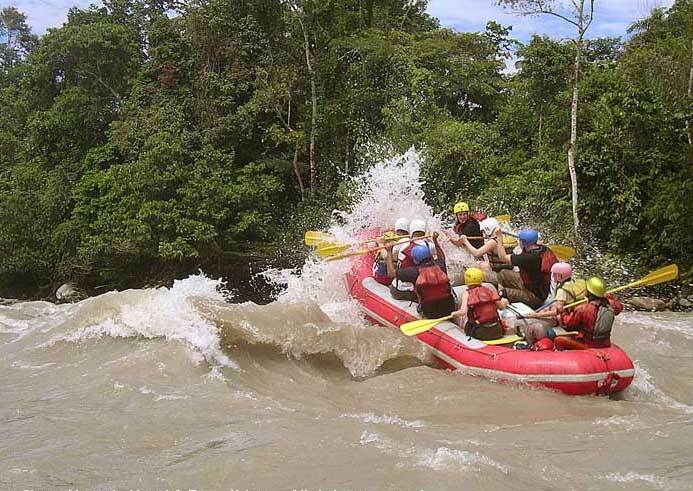 We put in at 2100 mt, giving us the feeling of paddling this class IV- IV+ stretch of the Quijos high in the Andes. The cooler water, and air, make the Quijos an excellent alternative to the sticky, tropical climate of the Amazon. 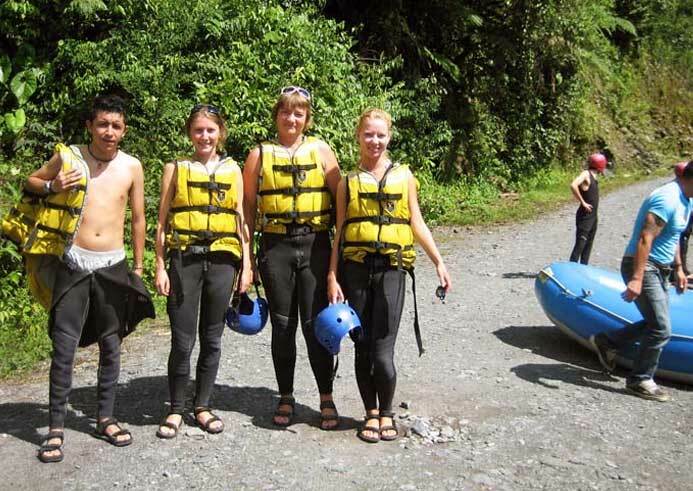 Be prepared, however, to bring warm clothes as bad weather can make it quite cool – by Ecuadorian standards. We will take out in the afternoon and take the two hour drive back to Quito.